Thank you all so much for coming and showing your support! It made my day to see each and everyone of you! I wanna take a moment to thank our Spinbuddies instructors. Though they are all highly skilled I’ve never hired them based on their skill but more for their loyalty and dedications to Spinbuddies! I also want to especially thank Anita Smeskal-Donato for being my right hand and my back to lean on even when I don’t say a word. You are all appreciated so much! I’m truly blessed! Pole dancing is the latest alternative fitness craze all around the world. It has provided women (and men!!) with a unique way to strengthen and tone their bodies in an exciting new way. 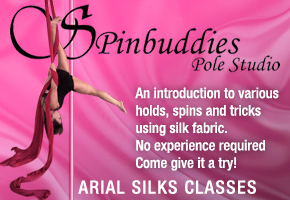 Here at Dance Poles Canada, we recognize the importance of quality pole dancing and aerial equipment for our customers’ homes. We are the official Canadian distributor of X-Pole products and accessories. We are located in Toronto, Ontario and ship Canada wide. 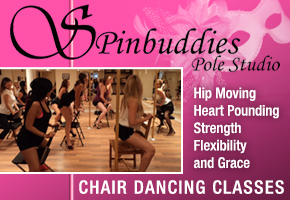 Our collection includes removable, portable, permanent and free standing (stage type) dance poles. We sell the same dance poles used in Miss Pole Dance Canada, the Canadian Pole Fitness championships, the International Pole and Dance Fitness convention and more.